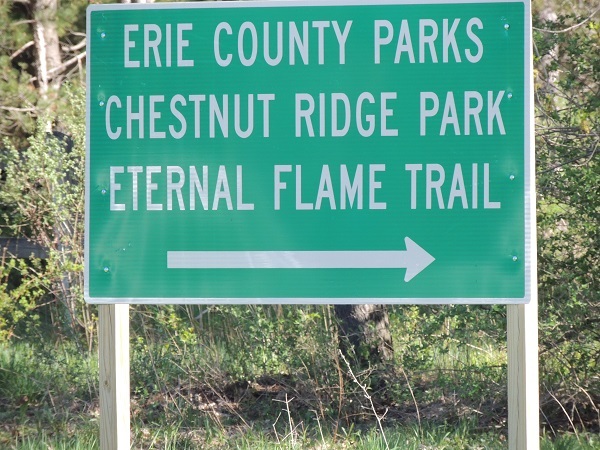 If you ever travel to New York and you have a free day to explore the city, you should definetly visit the Chesnut Ridge Park. The most bizarre and impressive natural phenomenon is happening there. 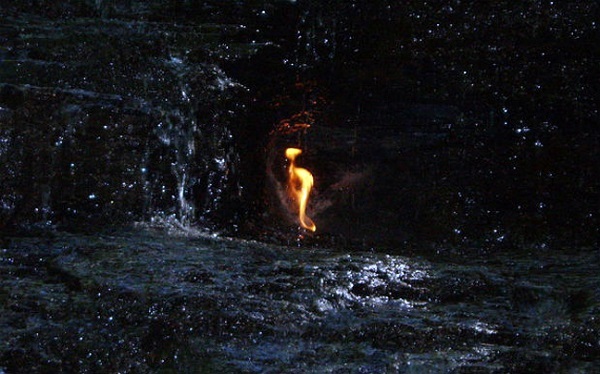 Inside a waterfall there is a small smoldering flame that never goes out. 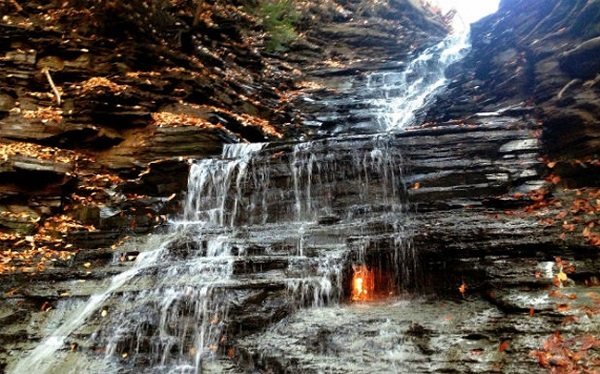 This unique phenomenon happens due to gas present in the shale layers, over which is created a cataract. 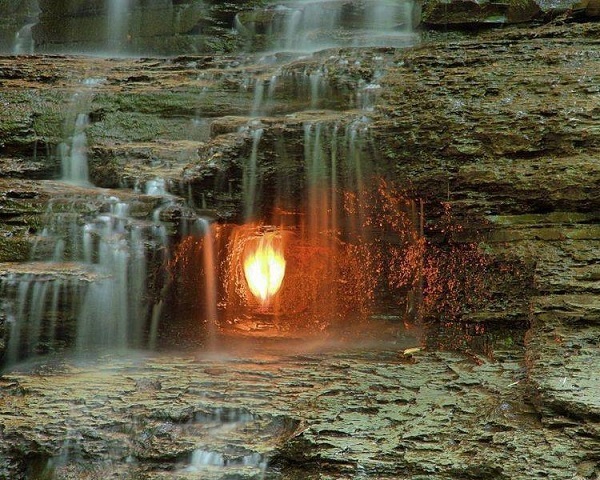 The largest amount of gas is dissolved in the air, but there is always enough left in the interior of the rock holding the flame always lit. 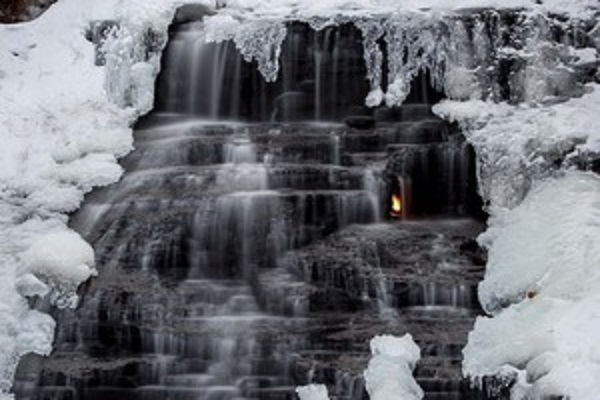 The flame arrives from 2 to 8 cm and observation is particularly striking during the winter, when snow covers everything, except of course the flame.